Pursuing a master’s degree in business administration poses some serious questions. Will this degree help my career? What skills can I learn and how can I apply them? Is it worth the time commitment? To help provide some answers, we surveyed our graduates on a number of areas related to their experiences with the MBA degree. 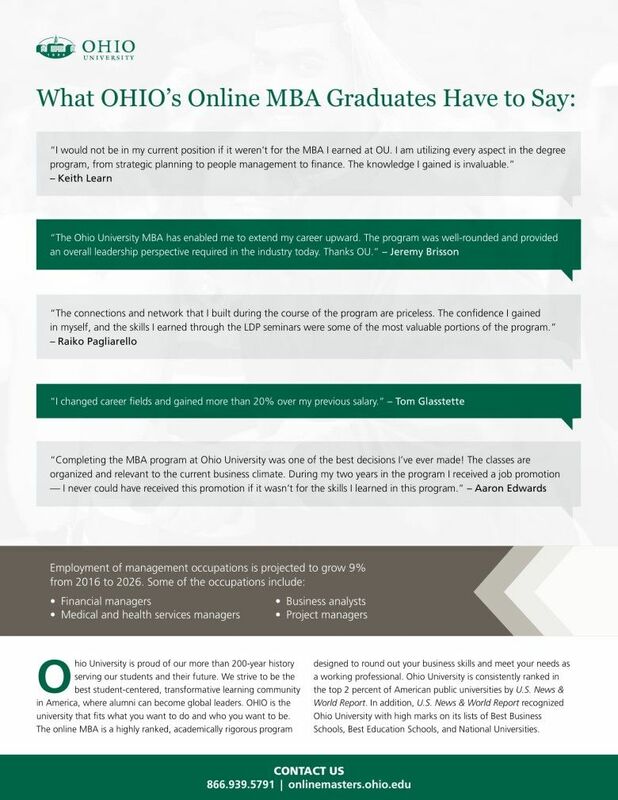 To learn more, check out the information below created by the Ohio University online Master of Business Administration program. Deliverables are paramount when choosing a graduate degree. According to the U.S. Bureau of Labor Statistics, employment of management occupations is projected to grow by 9% from 2016 to 2026. No matter what the industry, an MBA will give you the foundation for sustained success. 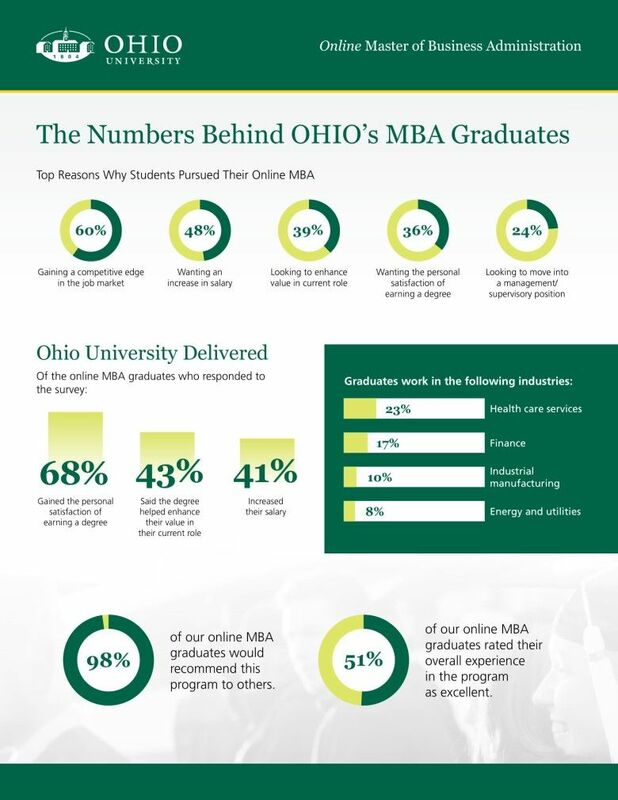 51% of our online MBA graduates rated their overall experience in the program as excellent.